A special edition of The Sunday Missal bound in white leather with gilt edges - a perfect gift for First Communion, Confirmation, and many other special occasions. 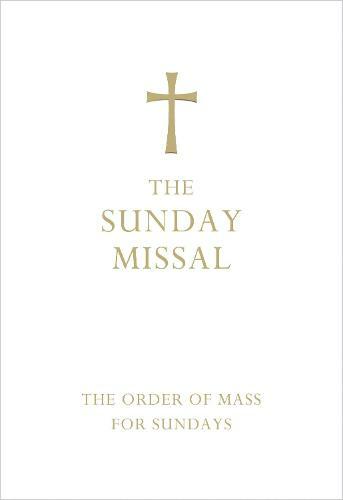 The Collins Sunday Missal is fully updated with the new, approved Order of Mass, perfect for anyone wishing to prepare for Sunday Mass and take an active part in its celebration. With a closer and more direct translation of the original liturgy, more detailed and explanatory commentary and additional readings to help prepare and collect after Mass, The Sunday Missal will aid a closer, more transcendent experience during Sunday worship.